I had the pleasure of designing a room for the sweetest little girl. I haven’t done a kids space in awhile, so it was fun to do so. A few of the items had already been purchased…the bed, sheets and quilt. I worked the rest around those items while bringing in a bit of a modern take. The color scheme was a fun one too. 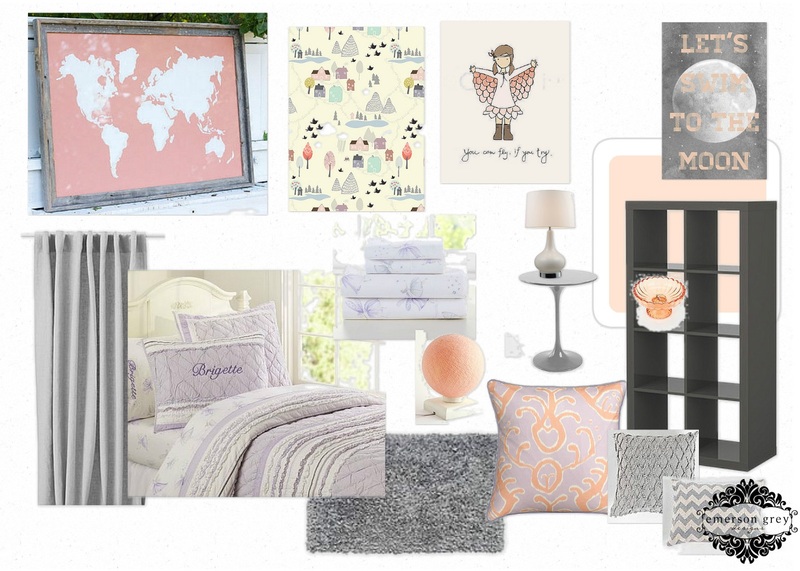 Lavender was the existing color, but I loved introducing the peachy coral and grey to it. I think it makes for a really girly space without being too overdone. Love the lavender and coral. It's so cute! I love the colors. Thank you! I can't wait to share when it's done.